On 21 March 2019, jeans maker Levi Strauss & Co. made a comeback to the stock market in style after more than three decades since the company was taken private. The public offering raised $623m through the sale of 36.7m shares at $17 each, topping an indicated price range of $14 to $16 a share. At the issue price, the IPO gives Levi an initial market value of $6.6bn. Levi’s shares vaulted 32% in their first day of trading, giving it the third-biggest first-day jump for a big, non-technology initial public offering since 2015, according to Dealogic. Levi Strauss & Co. began as a dry goods business in San Francisco in 1853, and invented blue jeans 20 years after that. Best known for jeans, the company also sells dress pants, shoes and accessories for men, women and children under the Levi’s®, Dockers®, Signature by Levi Strauss & Co.™, and Denizen® brands. The company traces its origin to Levi Strauss (1829–1902), a Bavarian immigrant who arrived in San Francisco in 1850 during the Gold Rush, bringing dry goods for sale to miners. The company’s most remarkable growth occurred after 1946, when it decided to abandon wholesaling and concentrate on manufacturing clothing under its own label. By the 1960s, Levi’s and other jeans—once worn chiefly by American cowboys—had become popular worldwide. The company went public for the first time in 1971, while it was operating in 50 countries. In 1985 the Haas family staged a leveraged buyout that returned the company to private ownership. The family had previously taken over the leadership of the company in 1918 following Strauss’s death in 1902, along with other descendants of Levi Strauss. In 1986 Levi Strauss & Co. introduced in the United States a new line of casual pants called Dockers and the Signature by Levi Strauss & Co. and Denizen brands. Both were affordable and casual options for the American consumer and made their way into the country’s culture. The company even claims that the Dockers helped driving the 1990s fashion towards “Casual Fridays”. In 1996 Levi’s Vintage Clothing (LVC)—a line of reproductions of clothing items from the Levi Strauss Archives—was introduced worldwide. The company later launched (2003) the Signature by Levi Strauss & Co. brand, a more affordable line of jeans and casual wear, and in 2007 Levi Strauss partnered with the French company ModeLabs Group to develop a series of Levi’s-branded mobile telephones. Despite these strategic moves, sales stagnated, and in 2011 it hired Chip Bergh as CEO. He was credited with turning the company around as he instituted various changes, such as modernizing its e-commerce division and expanding further in overseas markets. Levi Strauss sells in 110 countries around the world, in more than 50,000 retail locations. 55% of its revenue comes from the Americas, with the U.S. being the largest market. Levi generates 28% of its revenue in Europe, and 16% in Asia. Levi Strauss & Co.’s reported fiscal 2018 net revenues were $5.6 billion. For Levi Strauss, wholesale retail is its largest channel, with 57% of Levi’s revenue coming from department stores, specialty retailers, e-commerce sites and franchisees. The company is growing its direct-to-consumer business, which now accounts for about one-third of sales. Levi is also expanding online, where denim sales have been growing. Over the past year, 17% of all online buyers have purchased jeans over the web, up from 15% in 2017, according to NPD’s Checkout information. Levi e-commerce revenue on its 43 branded sites grew 18% in 2018, and 22% in 2017. The denim maker is selling more on Amazon as well, with its own branded landing page aimed to mimic the experience shoppers would find on its own e-commerce websites. In an SEC filing, Levi sought to persuade Wall Street it could succeed in the shifting landscape — highlighting its push into ‘omni-channel’ retail, combining a physical and online presence. “While ecommerce still comprises a small portion of our net revenues, it has been our fastest growing business over the last several years,” the company said. Wholesale channels generated almost two thirds of net revenues in 2018. Levi’s is also mixing up its fashion products, striking new collaborations with celebrities including Justin Timberlake and Lily Aldridge; a strategy that executives say is contributing to its increasing popularity with every type of shopper— especially in the younger generations. With Levi’s Virtual Stylist, a chatbot that helps customers find the perfect pair of jeans, the company overcame the age-old barrier of buying apparel online – fit – in a unique manner. Of late, the company has also been adopting meaningful campaigns such as ‘Water Less’, to build brand-name awareness. Through this campaign, Levi’s reused water during production and created new finishes that required less water than traditional processes. Thus, the sustainability factor was woven into every campaign the company ran, making it the official core value of the brand. Of the total sale of 36.7m Class A common stock, Levi is offering 9.5m and with remaining 27.2m offered by selling stockholders. Additionally, Levi’s underwriters were granted a 30-day option to buy up to an additional 5.5m shares of Class A common stock at the IPO price of $17 per stock, net of underwriting discounts and commissions. This is restricted to a lock-up agreement of 180days, which limits the offering, selling or exchanging any amount of Levi’s stock by the underwriters. After the IPO, Levi would have a total of 36.7m of Class A stock and 348.8m of Class B stock, bringing it to a total of 385.5m common shares outstanding. Each share of Class B stock would be entitled to 10 votes, while each share of Class A stock be only granted 1 vote. Both classes of shares are otherwise identical. Thus, shareholders of Class B stock will retain 99% of the voting power. We believe that the bulk of the IPO proceeds will be used to pursue the company’s strategy of bolstering its direct-to-consumer business, through continued efforts in advertising and expansion of brick-and-mortar stores. Such a strategy is key in maintaining a strong foothold in the clothing industry, amidst growing competition from firms such as American Eagle Outfitters and Gap. From historical financials, it is evident that Levi has been able to sustain strong growth in its sales as well as EBITDA for the past 5 years. This growth can be attributed to increasing online retail sales through Levi’s brand dedicated websites and numerous third-party platforms. The global online related market was valued at approximately $929.8bn in 2017 and it is forecasted to grow at 13.4%. In addition to its rising online presence, Levi is also able to capitalize on the rapidly growing apparel market on the back of a shifting landscape towards vintage fashion. 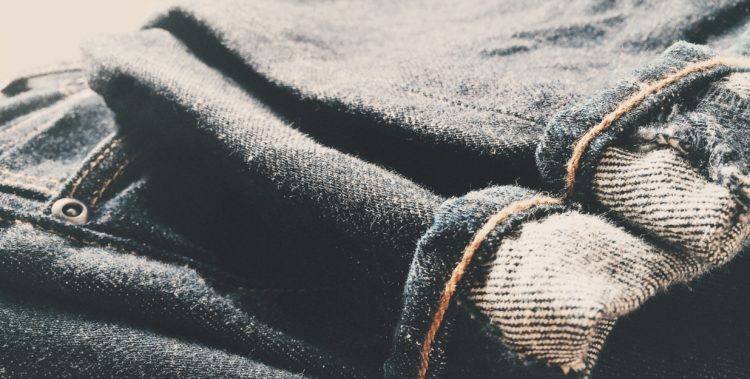 While Levi’s profitability may not be as desirable, it is not a main concern as its decline was mainly due to increased spending on advertising and other measures to build customer loyalty, which would yield results in the long term. Thus, it is only logical for Levi to swiftly raise substantial capital to sustain its strong growth momentum, on the back of its strong brand portfolio and burgeoning consumer base. This would be done via an increased focused on its direct-to-customer business which could also see a jump in number of brick-and-mortar stores globally, particularly in Asia where key emerging markets reside. Moreover, Levi has also hinted at plans to diversify its portfolio. Moving beyond jeans, the firm also aims to strengthen its footing in other segments including tops and women’s apparel, both of which have high profit potential. Hence, an IPO would be instrumental as considerable capital would be required for rapid scaling of stores, as well as for designing new type of apparel to take advantage of the market. In addition, IPO proceeds would also serve to cut costs and increase profitability. Levi has disclosed plans to revamp its supply chain as part of its initiative ‘Project F.L.X.’ (future-led execution). Investments in this initiative would eliminate a plethora of manual techniques and automate finishing process, thus optimizing its supply chain and enhancing efficiency during production. The remainder IPO proceeds could be used for potential acquisitions for expansion into new markets, as well as for investments in investment-grade, interest-bearing instruments to generate cash for general corporate purposes. The stock on March 21st launched at just over $22, well above its initial pricing at $17, giving the jeans maker a market value of $8.7 billion. The company originally expected to price its 36.67 million shares in the range of $14 to $16. The outcome reflected robust oversubscription for one of the largest retail- and consumer-products IPOs of the past decade and indications from underwriters earlier last week that pricing was likely to come at a premium. Furthermore, another key driver has been the perfect timing: looking at the market side, US stocks are trading near record highs with relatively low volatility; turning to the industrial point of view, it should be pointed out that the S&P 500 Retailing index is up about 14% this year and the popularity of denim is surging, driven by the resurgence of 1990s styles such as high-waist and pinstriped jeans. The San Francisco company shares with many tech companies a special supervote structure: Levi presented a dual-class structure that gives the controlling Haas family a separate class of stock with 10 votes per share, compared with one per share for new stockholders. Altogether, the Haas family controls 99% of votes. The significant concentration of control over the company may allegedly reduce the owner-manager accountability towards the other shareholders. This is the reason why it has been banned by many stock indexes, suffering the same fate as Dropbox. Even though a structure like Levi’s guarantees the Haas family’s stability of control, a Harvard study brought up some evidence that, over time, this structure may backfire leading to significant inefficiencies. Bank of America Merrill Lynch, JP Morgan and Morgan Stanley acted as the joint bookrunners on the offering. The underwriters have been Goldman Sachs, JPMorgan, Merrill Lynch, Morgan Stanley, Evercore ISI, BNP Paribas, Citigroup, Guggenheim Securities, HSBC, Drexel Hamilton, Telsey Advisory Group and Williams Capital Group.